The global mobile phone insurance market was valued at US$ 22.6 Billion in 2018. The mobile phone insurance is the coverage taken by the cellular phone users in order to protect their cell phones from various damages and losses. The coverage is provided to the insured in case of circumstances such as damage, fire, theft, accident, and other unexpected situations. Mobile phone insurance helps the consumer to evade expensive replacement costs in case of mobile phone loss or breakdown. The market consists of well-established players across the globe that invest significantly in order to deliver the most elaborate insurance solutions to the customers. The increasing number of smartphones users and rising incidences of accidental damage, phone thefts, device malfunction, etc., are among the key factors driving the global mobile phone insurance market. Mobile phones are highly prone to physical and technical damages, and the rising cost of smartphones is driving the consumers towards opting for mobile phone insurance policies. Collaborations among mobile phone manufacturers and insurance regulators are also driving the market globally. Insurance vendors in the market are improving the policies with recovery features, data protection, and extensive technical support to the consumers while they claim their insurance. 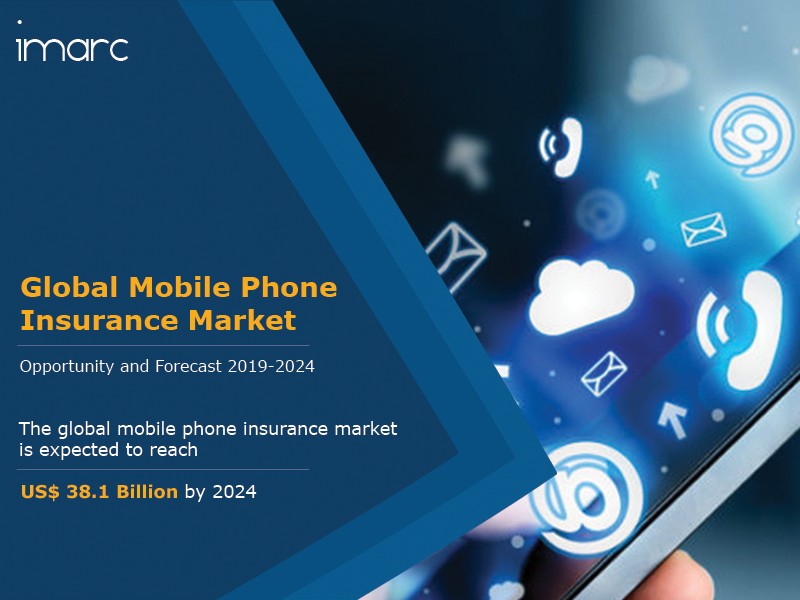 Moreover, the emergence of multichannel interaction, direct-to-consumer insurance assistance, online transaction platforms, etc, are also driving the global mobile phone insurance market further. Other factors driving the market include rising demand of data and virus protection plans, improving access through improved distribution networks, rising demand of premium smart phones, etc. Looking forward, IMARC Group expects the market to reach a value of US$ 38.1 Billion by 2024, registering a CAGR of around 9% during 2019-2024. The report has also analysed the competitive landscape of the market with some of the key players being AIG, Allianz Insurance, AmTrust International Underwriters, Apple, AT&T, AXA, Deutsche Telekom, Liberty Mutual Insurance Group, Pier Insurance Managed Services, Samsung Electronics, SoftBank Corporation, Sprint Corporation, Telefonica Insurance S.A, Verizon Communications, Vodafone Group, Xiaomi, Orange, etc. How has the global mobile phone insurance market performed so far and how will it perform in the coming years? What are the key regional markets in the global mobile phone insurance industry? What is the breakup of the market based on the phone type? What is the breakup of the market based on the coverage? What is the breakup of the market based on the end-user? What are the various stages in the value chain of the global mobile phone insurance industry? What are the key driving factors and challenges in the global mobile phone insurance industry? What is the structure of the global mobile phone insurance industry and who are the key players? What is the degree of competition in the global mobile phone insurance industry? What are the profit margins in the global mobile phone insurance industry?